Smart shapes are icons that are created on a stencil and can represent any object (ie, round & rectangular tables, chairs, stages, dance floors, servery, people, piano, lectern, plants, umbrellas, marquees etc). We will customize these shapes exactly as per the client’s furniture specs. 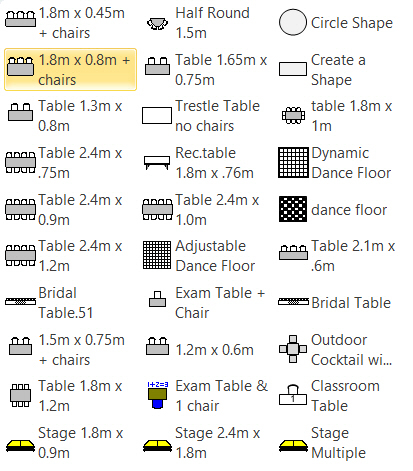 For example, if the venue uses a banquet chair 50cm x 55cm our team customizes the smart shape with these exact dimensions. This ensures the floor plan layouts created by the client are accurate. These shapes are then ‘dragged and dropped’ from the stencil onto the plan to create the desired layout and are ‘to scale’ with the underlying floor plan. Dynamic Smart Shapes -Taking Smart shapes one step further is making them ‘dynamic’. By adding ‘intelligence’ to these shapes gives the user flexibility to ‘right click’ and enter the number or chairs around a table and change the size of the table. 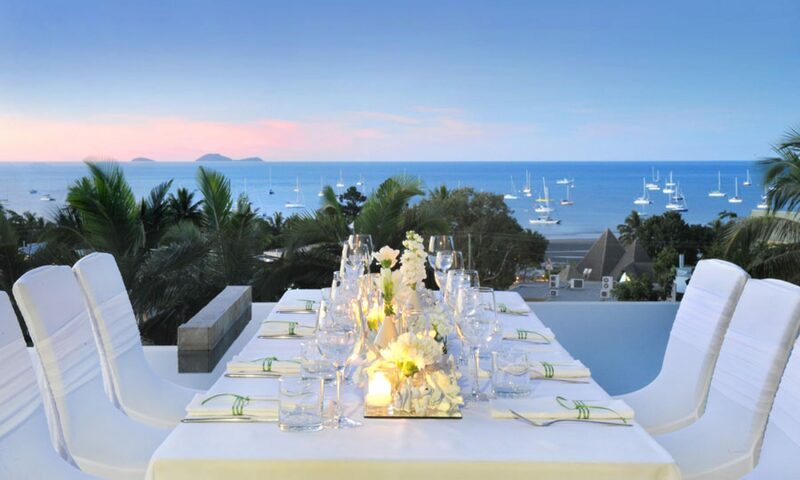 This is set up for both round and rectangular tables.